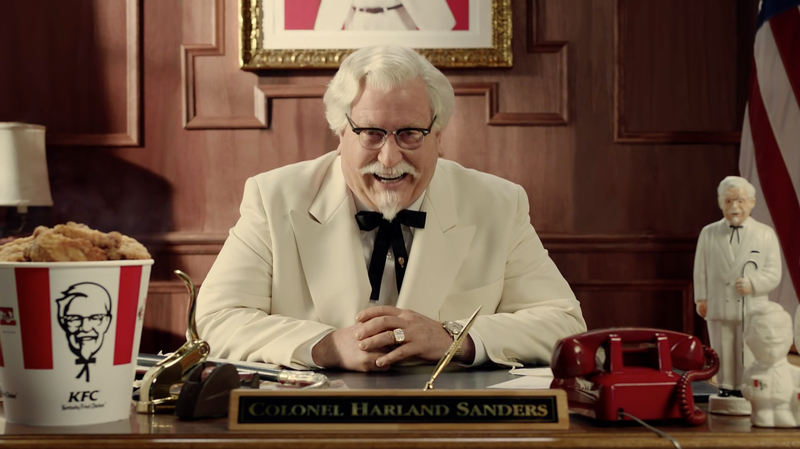 KFC is marking the 75th anniversary of the Kentucky Fried Chicken brand with an advertising campaign featuring the return of Colonel Sanders. Seventy-five years ago, a feisty 65-year-old chicken salesman set out to give his neighbors the best friend chicken out there. A decade later that secret recipe and his finger lickin’ good fried chicken made Colonel Sanders one of the most recognizable men in the world. 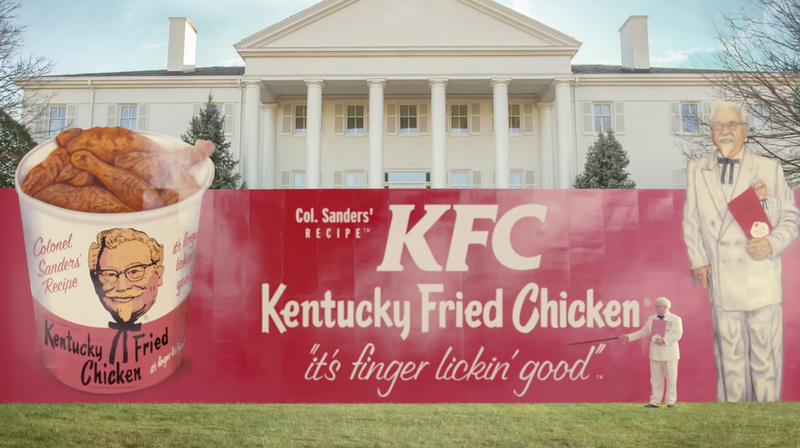 The push includes a marketing blitz with the new Colonel played by “Saturday Night Live” alum Darrell Hammond, store remodels, new packaging, new menu items, a new KFC.com and a “reinvented” ColonelSanders.com, which gives the history of the Colonel in all his different iterations. 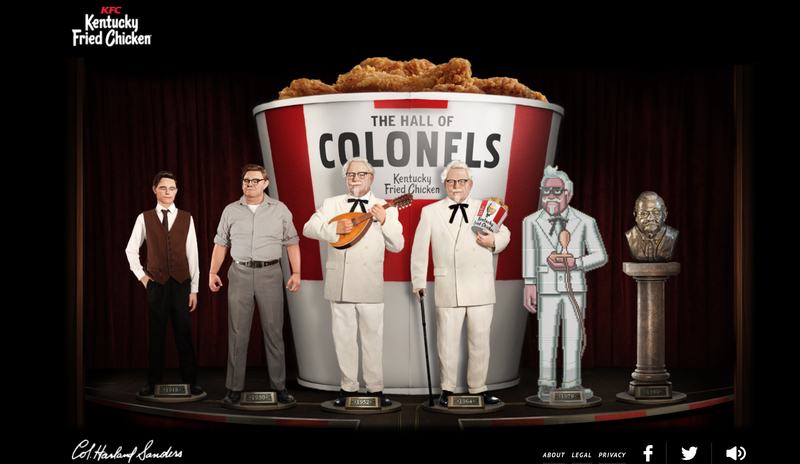 The Hall of Colonels site, colonelsanders.com, provides a walk through Sanders’ eclectic life, along with an 8-bit style video game called Colonel Quest, in which you play the Colonel throughout his life. Help him escape sixth grade to quit school and work! Colonel Sanders walks through iconic Americana scenes in “Bucket In My Hand”, channeling Johnny Cash. 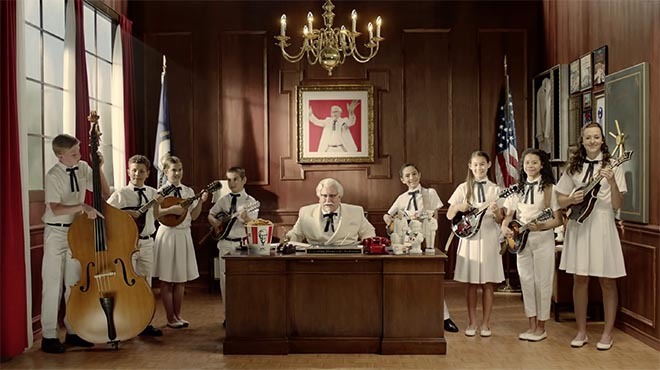 Sit back and enjoy the tender, juicy, delicious sounds of the Colonel Harland Sanders Mandolin Band. 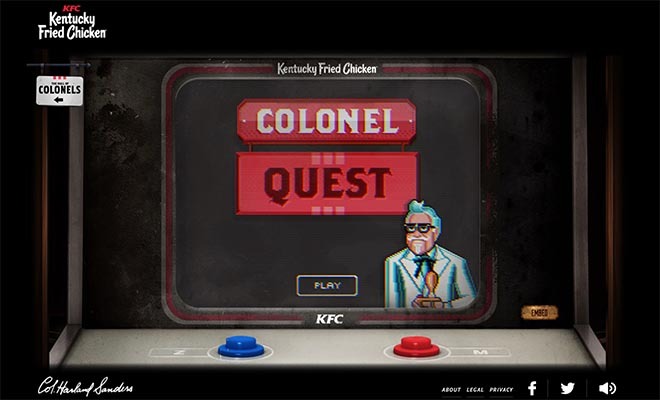 Gasoline Gunfight provides a pantomime version of the life-changing tragedy that led to Colonel Sanders developing his chicken-licking brand. The KFC Colonel Sanders campaign was developed at Wieden+Kennedy Portland by executive creative directors Mark Fitzloff, Joe Staples, creative directors Karl Lieberman and Eric Baldwin, art directors Lawrence Melilli, Jeff Williams, Matthew Carroll, copywriters Matt Mulvey, Claire Wyckoff, Shaine Edwards, executive art producer Heather Smith-Harvey, head of production Ben Grylewicz, digital director Katie McHugh, interactive director Mike Davidson, interactive producers Teresa Lai, Byron Oshiro, media planner Alex Barwick, photographer Matt Armendariz, producer Hayley Goggin, production assistant Nicole Kaptur, project manager Chenney Gruber, social director Matt Hisamoto, strategists Britton Taylor and Lizzie Hanner, producer Joey Bullock, interactive creative director (art) David Trujillo, lead developer Andy McIntosh, business affairs producer Karen Crossley, account managers Alexia Shaber and Ken Smith, account team Jess Monsey, Jesse Johnson, Kristin Postill and Anya Wachtel. App and digital production was done at Legwork. Filming was shot by directors Stacy Wall, Karl Lieberman and Eric Baldwin via Resn, Imperial Woodpecker, Joint with directors of photography Tim Hudson and Eric Edwards, line producers Andrew Travelstead, Shelli Jury, executive producers Doug Halbert, Patty Brebner. Editing was done at Joint Editorial by editors Steve Sprinkel and Nick Davis, executive producers Alex Thiesen, Leslie Carthy, and producer Lauren Pullano. Set construction was by Jet Sets. 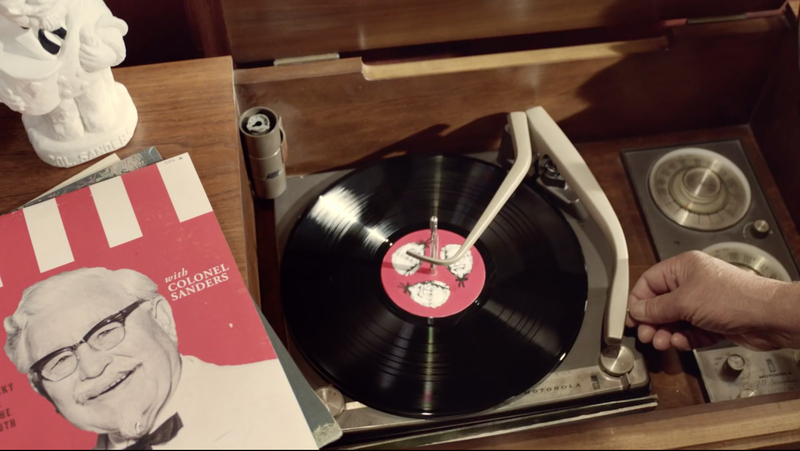 Post production was done at The Mill and Joint Editorial by shoot supervisor Mary Hayden, senior producer Dan Roberts, producer Antonio Hardy, Nuke artist Zack Jacobs, matte painter Gillian George Itai Muller, Lynn Yang, Flame artists James Allen, executive producers Sue Troyan, Thatcher Peterson, Alex Thiesen, colourist David Ludlum, VFX supervisors Phil Crowe, (Colour) Diane Valera. Sound was produced at Lime Studios by mixers Sam Casas and Matt Miller, sound designer Noah Woodbury, producers Abbey Hickman, Sara Matarazzo, Susie Boyajan, Sara Matarazzo. Music was produced at Walker Music.